Re: Where's the Phototalk random thread? Still gonna get stuck in the trees though - possibly worse than conventional. Now they need a bit of programming and to remove the lattice from the video. If I put together a collection of my photos, I'd have a porkfolio. If we haven't got one there probably isn't a need for one. What I can't help notice is that nobody in those images seems represented by ANY period drama I have ever seen. Some of the dress is more reminiscent of "The Old West" than London. Has our impression of period dress been misguided by the fact that photography, especially portraits, were a preserve of the better-off? Just as every period car in a TV drama is an immaculate, shining example (TV cars are sourced from enthusiasts who polish them relentlessly, Ergo. No rusty cars on TV), it seems that everyone in a period drama had access to a Washing Machine and Showers. There's a general absence of grime which seems ubiquitous in these images. It was the hats that surprised me, like a cross between a bowler and a bobbie's helmet. And did you notice the built-up shoe the cough-lozenge peddler was wearing? Yes, the hats were remarkable. I wonder if the photographer was particularly focussing on the Italian community. grime which seems ubiquitous in these images. Much of it will be coal dust. There was a TV documentary series a few years ago where two men and a woman took over a farm and lived as Victorians, with 19th century technology and gender roles, as they recorded their thoughts. The woman spent most of her time either cleaning clothing or cleaning the house which became dirty very quickly. Wiping the coal dust and soot from the surfaces every day, she realised how much of Victorian life was determined by the heating technology. When I looked through these images, it struck me how many of those people are working with their hands in some kind of craft in the street. And those streets are spaces to be used (for making and selling stuff), rather than just spaces to travel through. Some moving images there. The protestant and Catholic graves struck a cord. Together in life divided in death. So sad. No prices, but it looks interesting - 35mm / 120 - Colour / B&W - OK, most use for colour but if you had it, why not B&W. Torn between signing up and not wanting to know. I have been asked for the use of one of my pictures of Dundee by a local architectural practice as the background to a crazy golf hole. 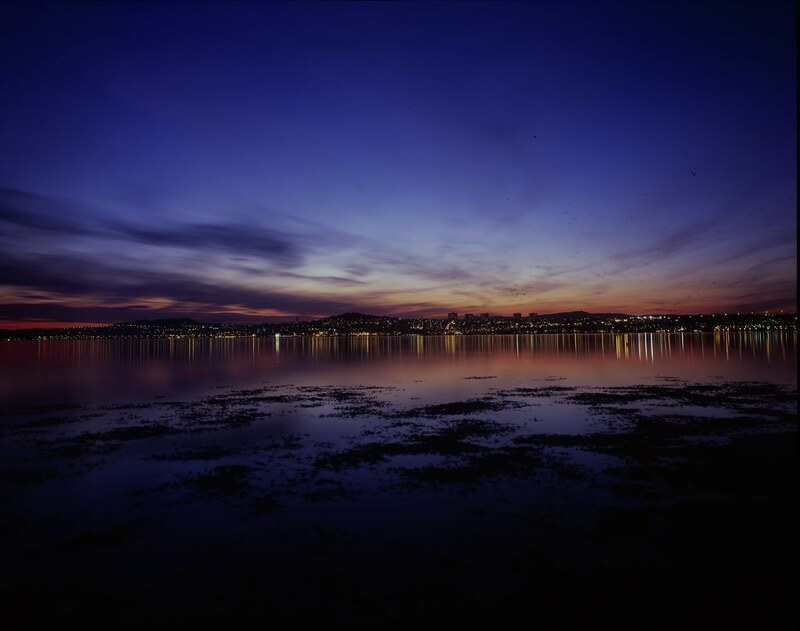 The pic in question is nightview wide_w by David Martin, on Flickr and is on 4x5" velvia 50 so scans to about 10k pixels wide and 8k high. Photophobia: last time the missus went running with my daughter in Strasbourg she left her camera at home. "I don't want the abuse" was her reason. I've done a few shoots in town centres and never had a problem. Anyone else had? Got another photo on the BBC Your Photos of Scotland this week page. PC 2017 CC build 20161012.r53.x64 no longer wants to copy certain vector shapes. Select layer containing shape / ctrl+A / ctrl+C / change to destination file / ctrl+V ==> SFA. Diamondgeezer's blog today tells of Bob Dylan's 'adoption' of one of his images. Fed up with piddling zoom on my cycling camera. It goes from 28mm equiv (which is nice) to 128, which means that any wildlife I want to snap looks like a flea on an elephant. Is that so hard, O Lord? Crikey, I'd even pay a pound for it.